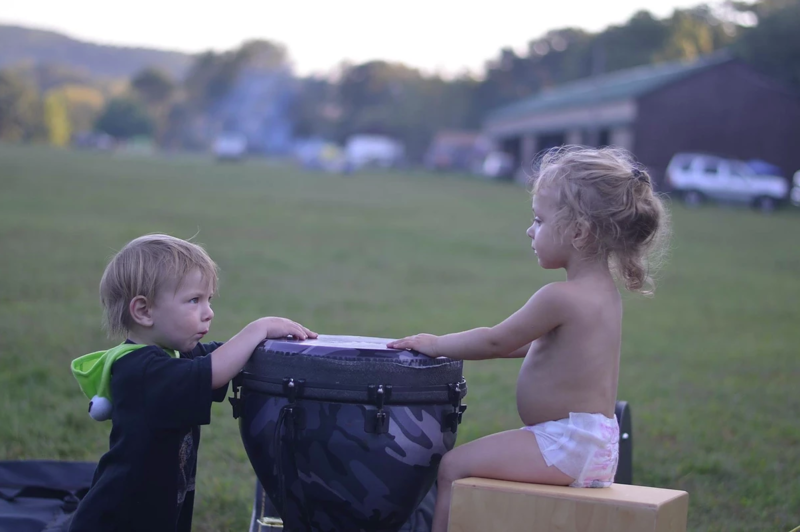 As the summer of 2018 meets its final days, the last flickering of summer revelries is at hand. Keith Green-Alessio is here to help if you want to make the season last just one weekend longer. 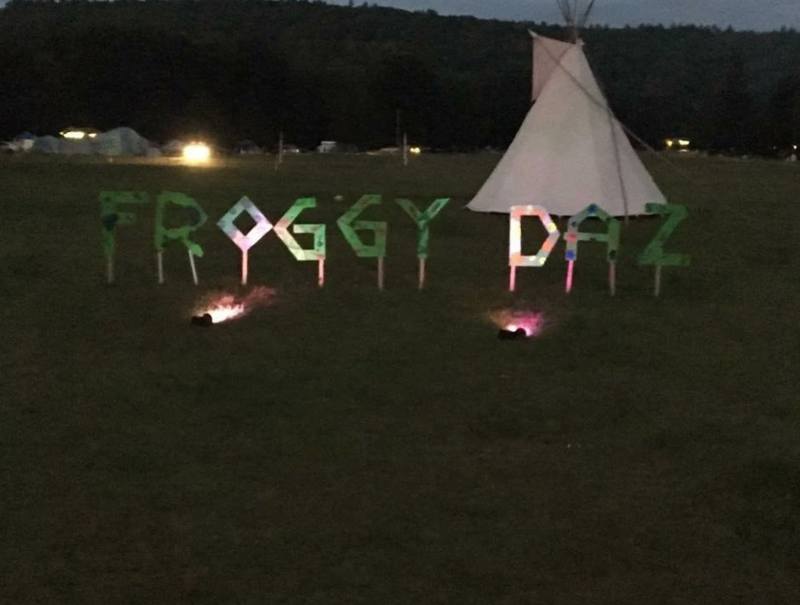 Every May and September since 2015, Green-Alessio’s Peace Pad Productions has produced “Froggy Daze,” four days and three nights of music, camping and friendly spirits at Lander’s Campground in Narrowsburg, NY. 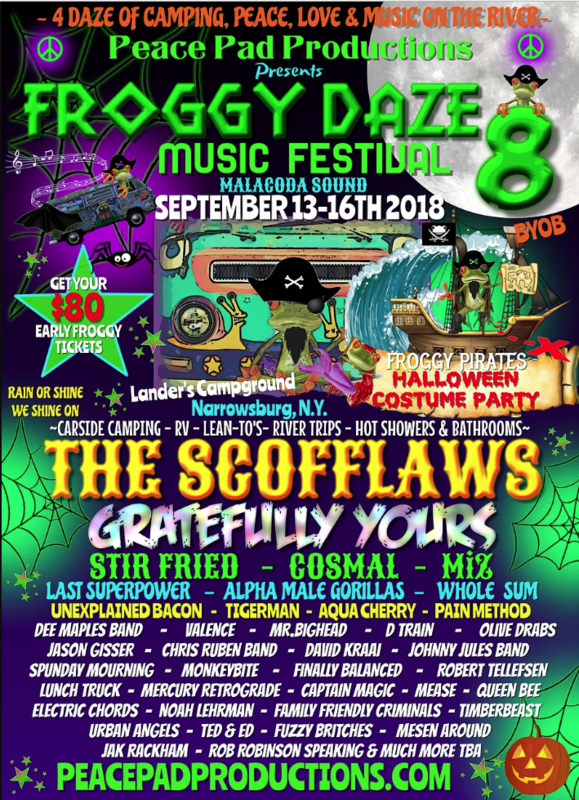 Headlining Froggy Daze 8 are ska legends Scofflaw and Grateful Dead tribute act Gratefully Yours, as they have the past several Froggy festivals. Other notable acts include Cosmal, Alpha Male Gorillas, Stir Fried, Miz, Last Superpower, Whole Sum, Unexplained Bacon, Tigerman, Aqua Cherry, Pain Method and dozens more. 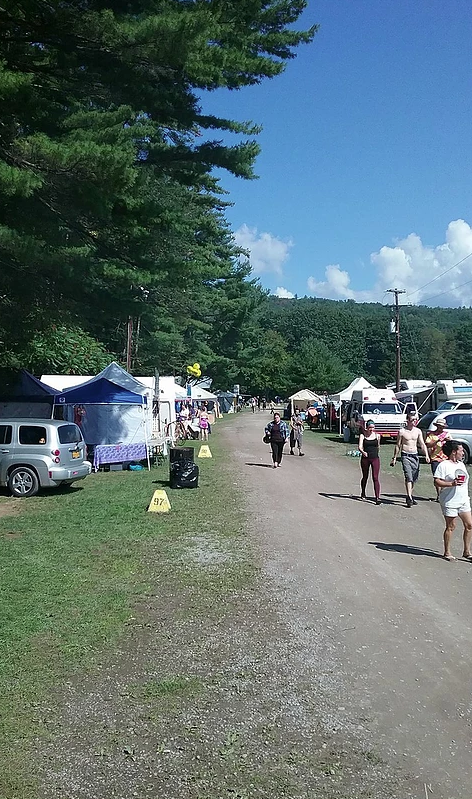 The festival also features a bevy of vendors selling crafts, clothing and other assorted goods, food on sale from a variety of eateries, a zone reserved for drum circles and other spontaneous music making, and a recreation area where congregants can toss a frisbee or take their kids to the playground. 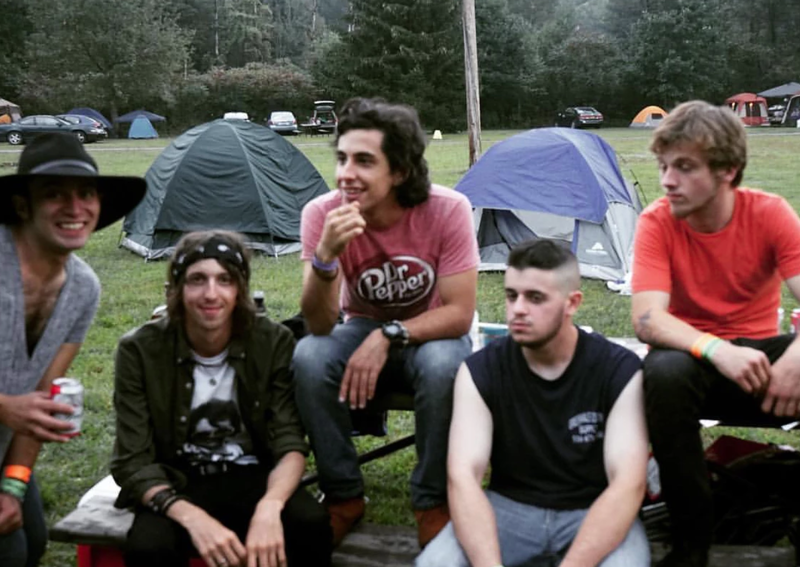 The party kicked off Thursday night and will continue through Sunday evening. 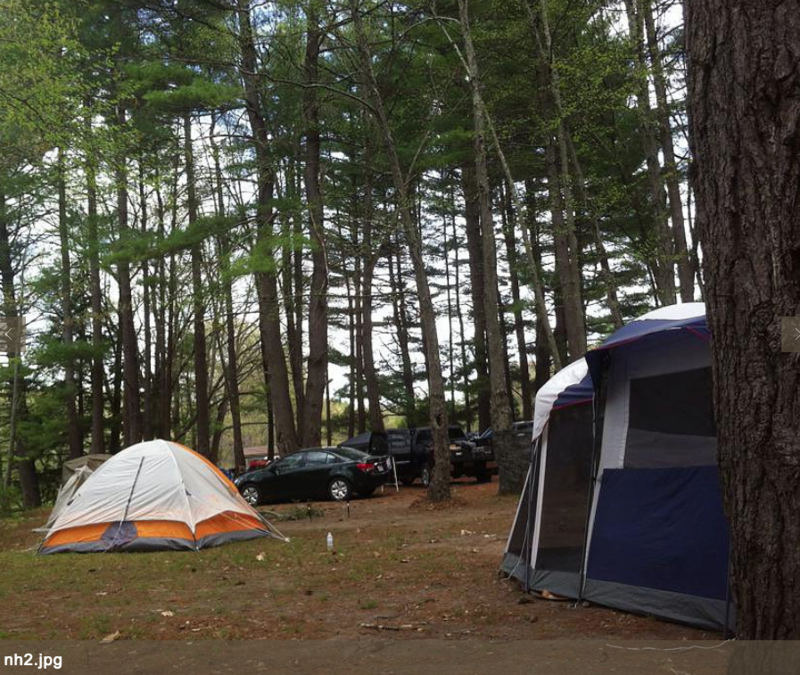 Car camping is allowed. Saturday day passes are $50. If you’re camping out, tickets are $95. Dogs are welcomed, just a $5 fee for each canine. Get your tickets at http://www.peacepadproductions.com.